BLI-1335-1.4: 3.7volt 1400mAh Li-ION battery for Kyocera. Replaces original # SCP-49LBPS. 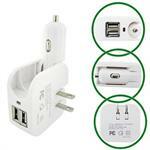 Fits Kyocera phone models C1520, C5133, C5155, C5156, C5170, C5171, Kyocera Event, Kyocera Hydro, Kyocera Rise. BLI-1244-1.7: 3.7 volt 1700mAh Li-ION battery for Kyocera Duraplus etc. BLI-1244-1.7: 3.7 volt 1700mAh Li-ION battery for Kyocera cellular. Fits models: Duraplus, E4233, SCP-48LBPS, 5AAXBT053GEA, Novatel 3F40, 40115118003, 4012311100, 4620LE, JETPAK 4G LTE. BLI-1240-1.1: 3.7volt 1100mAh Li-ION battery for Kyocera ECHO. M9300. Replaces original battery # SCP-39LBPS. BLI-1339-1.3: 3.8 volt 1300mAh Li-ION battery for Kyocera cellular HYDRO etc. BLI-1339-1.3: 3.8 volt 1300mAh Li-ION battery for Kyocera cellular. Fits HYDRO ICON, HYDRO LIFE, HYDRO VIBE, C6530, C6725, C6730, etc. Replaces original battery # SCP-59LBPS. BLI-1054-.7: 3.7 volt 750mAh Li-ION battery for Kyocera E1000, Lingo, K126C, M1000. Additional x-ref #s K127, K132, MARBL. BLI-1243-1.4: 3.7volt 1450mAh Li-ION battery for Kyocera DuraMax DuraShock DuraCore etc. BLI-1243-1.4: 3.7volt 1450mAh Li-ION battery for Kyocera cellular. Fits DuraMax, DuraShock, DuraCore, DuraXT, E4210, E4255, etc. Replaces original battery # SCP-43LBPS. BLI-1337-1.6: 3.7volt 1600mAh Li-ION battery for Kyocera HYDRO XTRM, C6522, C6522N, C6721, C6721A. Replaces original battery # SCP-52LBPS. BLI-1233-1.6: 3.7volt 1600mAh Li-ION battery for Kyocera Honor, Glory, M886, U8860, etc. Replaxces original battery # HB5F1H etc. 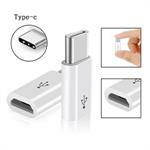 BLI-1241-1.4: 3.7volt 1400mAh rechargeable Li-ION battery for KYOCERA Event, Jitterbug Touch, Milano, C5120, C51213, C5133. Replaces original battery # SCP-41LBPS. BLI-1242-.9: 3.7 volt 850mAh Li-ION battery for Kyocera BRIO PRESTO LUNO etc. BLI-1242-.9: 3.7 volt 850mAh Li-ION battery for Kyocera BRIO, PRESTO, LUNO, S1350, S2100, S3015. Replaces original battery # SCP-44LBPS, etc. BLI-1057-1.2: 3.7volt 1200mAh Li-ION battery for Kyocera M6000, ZIO. Replaces original battery # SCP-36LBPS, SCP-8600, SCP-37LBPS. BLI-1336-.2: 3.7volt 2050mAh Li-ION battery for Kyocera Torque, E6710. Replaces original battery # SCP-51LBPS. 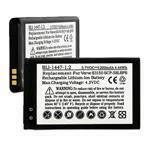 BLI-1338-1.5: 3.7volt 1500mAh Li-ION battery for Kyocera Hydro Elite 4G LTE, C6750. Replaces original battery # SCP53LBPS. 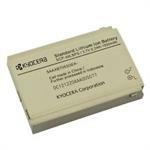 BLI-1446-1: 3.7volt 1000mAh Li-ION battery for Kyocera C5215, Hydro Edge. Replaces original battery SCP-54LBPS. BLI-1447-1.2: 3.7volt 1200mAh Li-ION battery for Kyocera Contact, Verve, S3150. Replaces original battery # SCP-58LBPS, 5AAXBT070GEA. BLI-1222-3.1: KYOCERA SCP-60LBPS 3.8V 3100mAh LI-ION BATTERY. Fits/replaces Kyocera 5AAXBT076GEA, Kyocera Brigadier, Kyocera Dura Force, Kyocera E6560, Kyocera E6562, Kyocera E6782, Kyocera SCP-60LBPS.